Chelsea Green Publishing Company, 9781603582704, 300pp. When Barack Obama took office in January 2009, he had an unprecedented chance to do what no other recent president could: seize the nation's financial reins from the corporate elite and return them to the American people. Progressives everywhere held out hope that their new leader would take advantage of the economic crisis he stepped into and enact bold policies that would evoke real financial reforms-putting Main Street in front of Wall Street, at last. But that, writes Robert Kuttner, is not the way things turned out. Instead, America's best chance for radical financial reform turned into Wall Street's greatest victory. Obama filled his administration with allies of financial elites who were more interested in business as usual than in transformative change. As a consequence, Main Street remained mired in deep recession. Instead of being the instrument of economic renewal, Obama became the target of economic frustration. 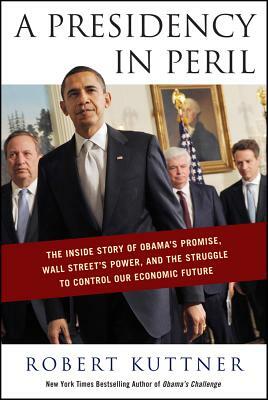 In this hard-hitting, incisive account, Kuttner shares his unique, insider view of how the Obama administration not only missed its moment to turn our economy around-but deepened Wall Street's risky grip on America's future. Carefully constructing a one-year history of the problem, the players, and the outcome, Kuttner gives readers an unparalleled account of the president's first year. More importantly, though, Kuttner shows how we could-with swift, decisive action-still enact real reforms. This is a book not to be missed by anyone who wants to understand exactly how Wall Street won, and how Main Street can still fight back.